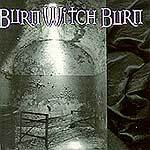 First things first, Rodney Linderman, the male vocalist and multi-instrumentalist of Burn Witch Burn, used to be Rodney Anonymous of The Dead Milkmen. That fact goes some way towards explaining the inspired lunacy that awaits those who listen to this disk. This music is an alternative to Alternative, something so completely different from anything else out there that it's unbelievably fresh. The biggest irony is that they achieve this by reaching deep into the past. One look at the list of instruments played, including tin whistle, mandolin, bouzouki and a hurdy-gurdy, shows that this isn't anything like the Dead Milkmen. Imagine the Pogues stone cold sober and pure evil and you're kind of close. Wrapped up in a fast paced and expertly performed mish-mash of traditional Irish and Norse music, via classic punk rock and new wave, the music features the beautiful vocals of Vienna Linderman and the familiar snarl of Rodney. Songs like 'Kavorkian', which is about assisted suicide (obviously), or the truly warped 'How Beth found fame', which is about the victim of the Black Dahlia murder, show that there's something deliciously rotten at the core of BWB. Threaded through the CD are tracks that have more of a "traditionally" alternative, like the cut and paste lyric of 'Treetop Flotilla' or the Stones cover, 'Citadel'. Sometimes there's a complete contrast between the indie vocals and the music, like on 'Painting the furniture black', which is a tribute to Nick Cave, where the music isn't all that far from what your average Irish trad band plays. There's a bit of politics in 'New Tsar & Catapult/Drowsy Maggie', the line "Burn the Tsar's new palace/burn it to the ground" was written in anticipation of the Republican Party convention in Philadelphia this year. The song spirals virtually out of control with Bill Fergusson's bouzouki solo! The band calls their music "American Gothic" and, while they do share somewhat the same spirit as the equally warped and dark Handsome Family, they are quite a bit more up-beat. In truth, you are unlikely to hear anything quite like this anywhere else this year, and no one else is at all likely to try and copy them! In fact, the name alone is likely to get them into trouble with the Pagan Anti-Defamation League! Do yourself a favour and think outside the box and try this.